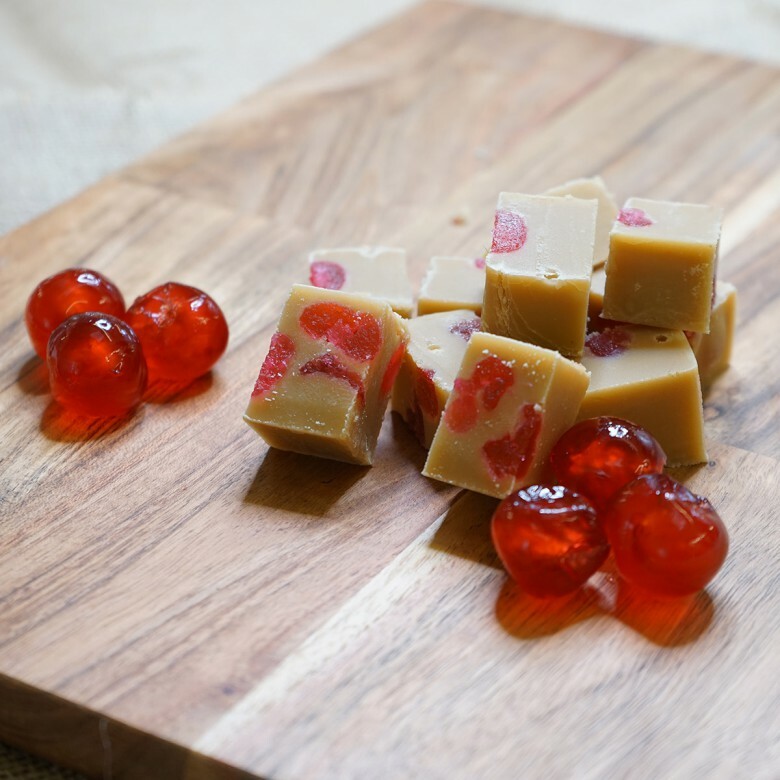 Cherry Fudge - Picked from the drooping branches of the sweet cherry tree, the plump ripe whole Cherries are pressed until their juice oozes out of them. 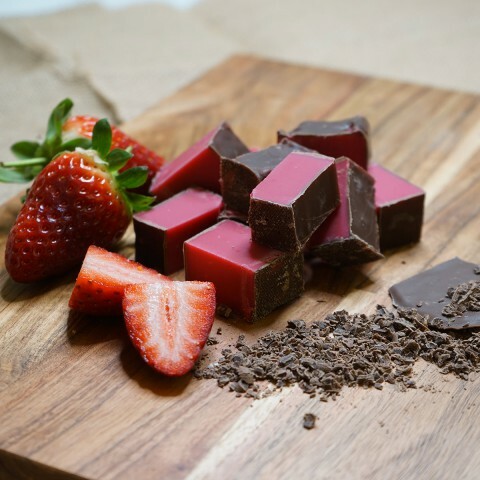 The cherries are then left to marinate in their own juices and both cherries and juice are folded into the fudge giving it a soft sweet fruity taste. 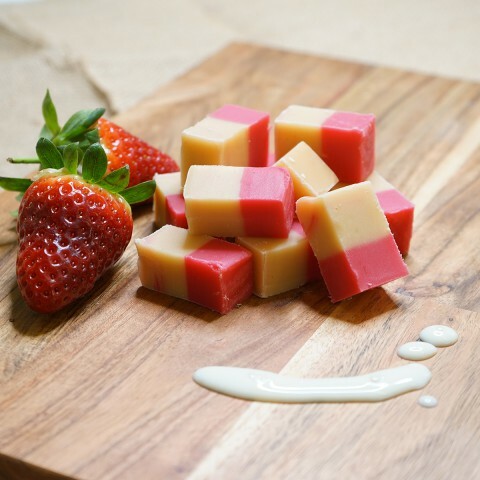 Ingredients list: sugar, MILK, glucose syrup, palm oil, butter, salt, flavourings, Cherries.